Following the success of Hazel’s previous editions featuring five Russian dolls, these new prints feature just the one and are available in these three beautiful colourways. Lovingly drawn and hand printed by the artist they measure 40cm x 50cm and are available to buy online here. 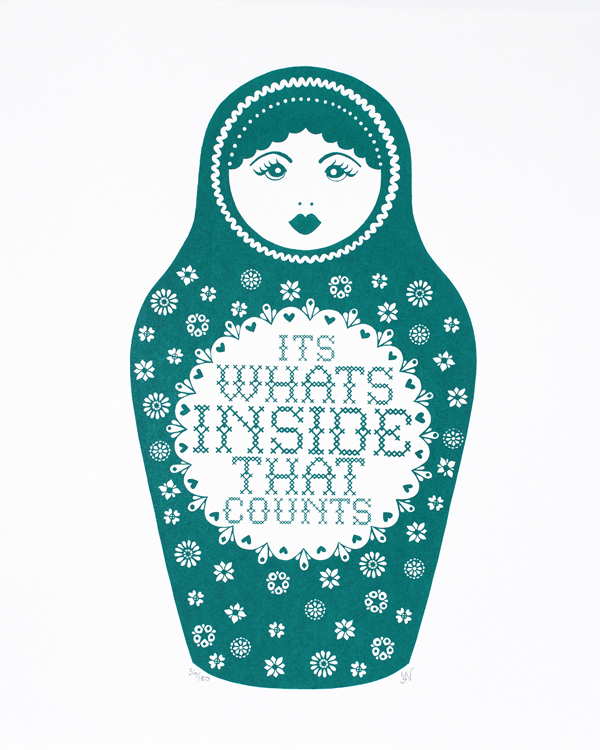 Hazel is a fan of old sayings and here she hits us with yet another rather lovely sentiment. Hand printed by the lady herself on Bockingford watercolour paper they measure 38 x 28cm. Signed and in an edition of 50 (black/fluoro), 60 (blue) and 45 (pink). One colour prints are £47 and the NEW black and fluorescent pink print is £50. New ceramic tile by Hazel Nicholls £18 each, available in blue and green. 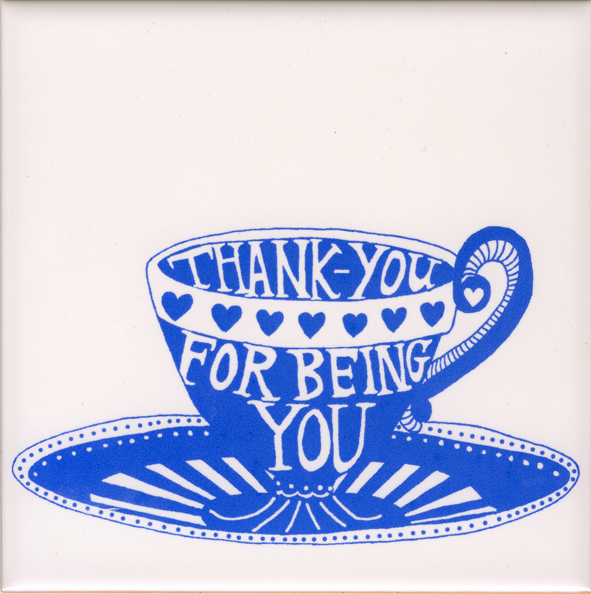 Hot out of the kiln are these cheeky hand printed ceramic tiles by Hazel Nicholls. A play on old sayings and inspired by her love of cross stitch, they will not only brighten up your home but also teach you a lesson in life. New to Elphick’s are these fantastic screen prints by Hazel Nicholls. Great with a cup of Rosie Lea and a nice price too. Paper Size 38cm x 28cm. £47 unframed. Edition of 100. You are currently browsing the archives for the Hazel Nicholls category.